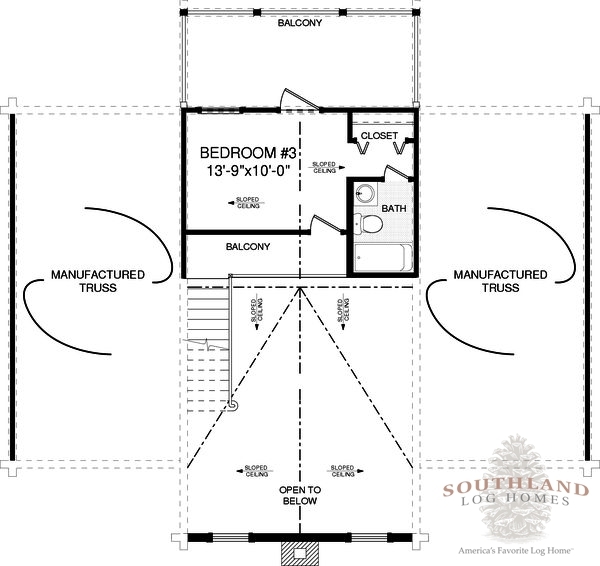 The Bourbon Log Home floor plan is one of the most popular at Southland Log Homes. 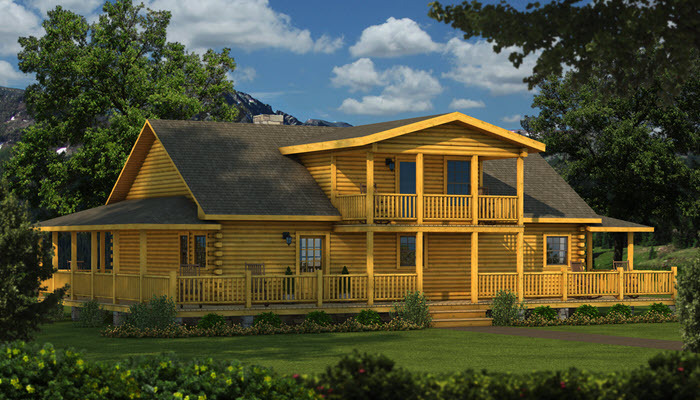 The log home is surrounded by a wraparound porch and deck. 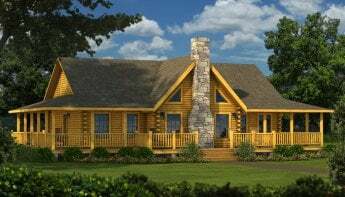 The entrance of the log home opens to the great room with a fireplace to the left. Open to the right is the kitchen and dining room area with lot of counter space to serve and prepare food, and to position stools. To the right of the great room is a bedroom with a private bathroom. 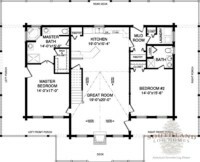 To the left of the great room is the master bedroom with a large master bathroom. The master bathroom has two separated sinks, a secluded toilet, and a walk-in closet. 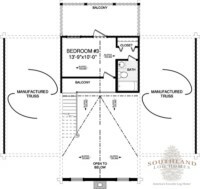 The master bedroom has a private door to the left porch. 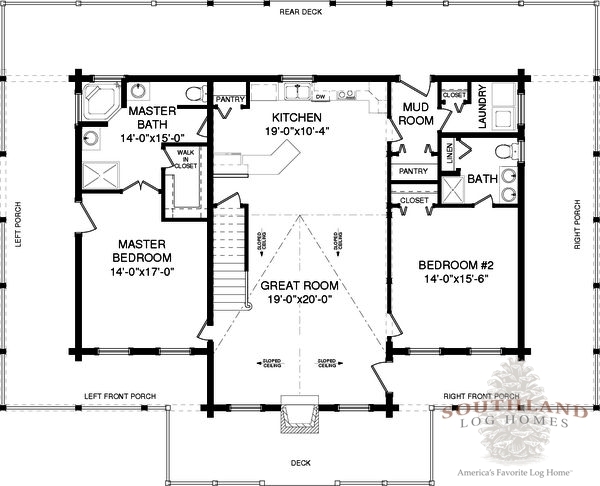 The Bourbon Log Home floor plan details the second floor with a bedroom and a private bathroom. A balcony opens to the great room below, while the upstairs bedroom opens to an outdoor balcony.